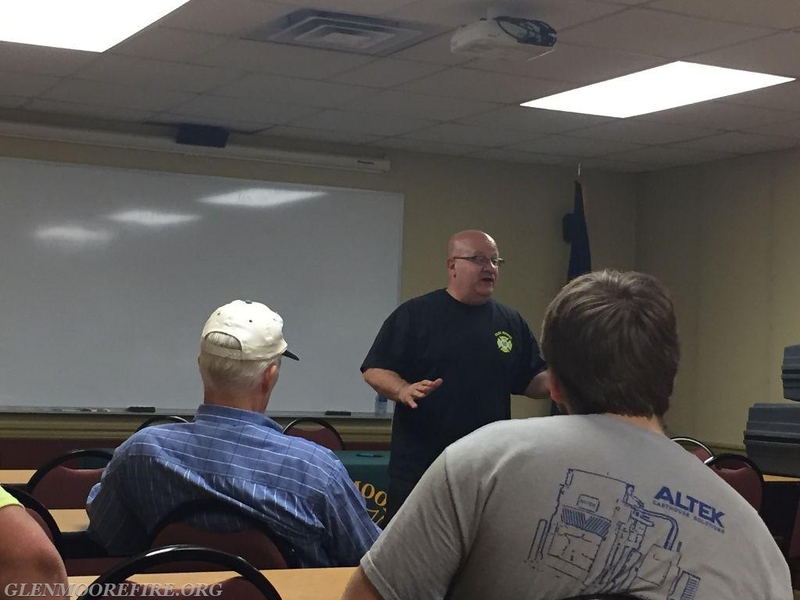 On Wednesday evening, the volunteers gathered for their weekly training. 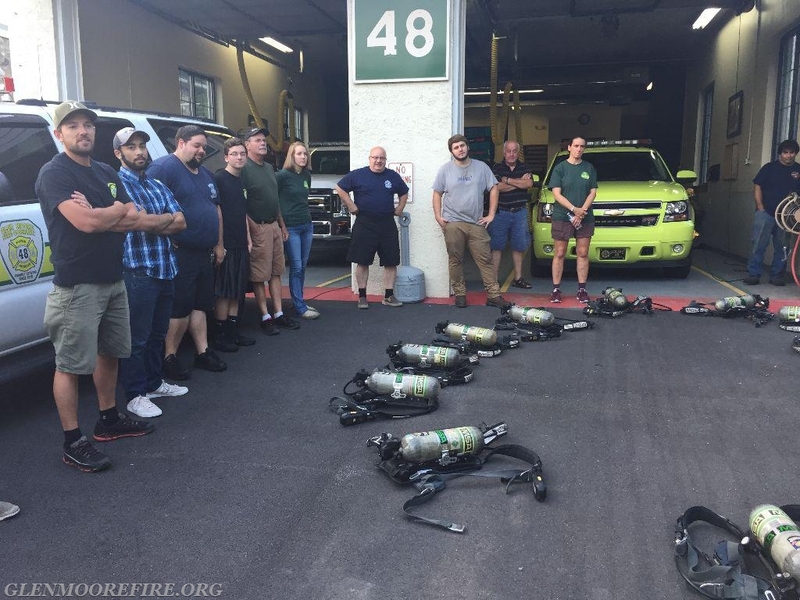 The training started with the juniors and newer members receiving instruction and then practicing donning their gear and an air pack. 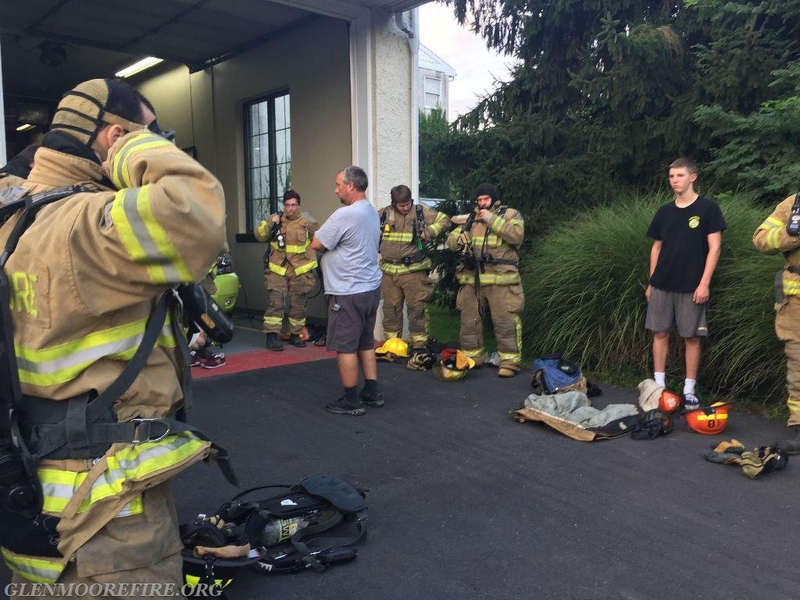 This practice is vital so that the firefighters know and understand how to properly wear their gear to avoid injury. 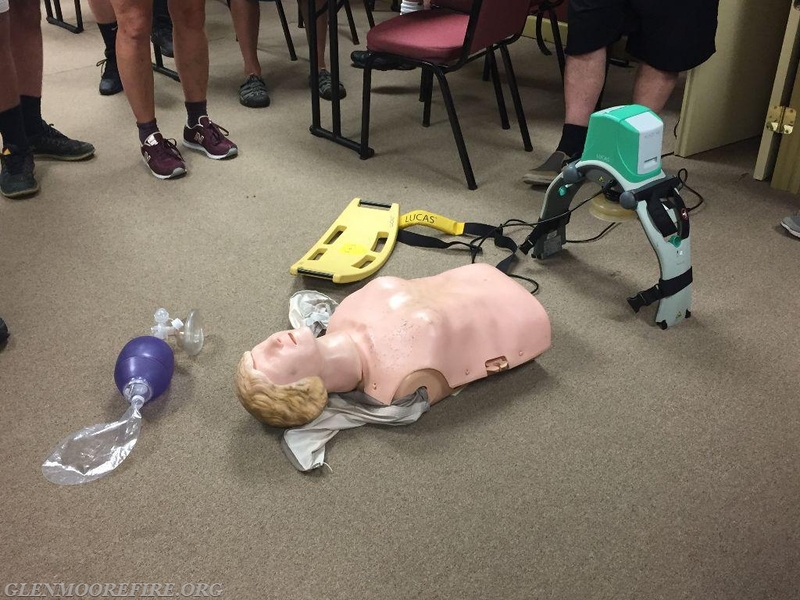 The training then moved inside to the classroom where the members received instruction on airway management and chest compressions. 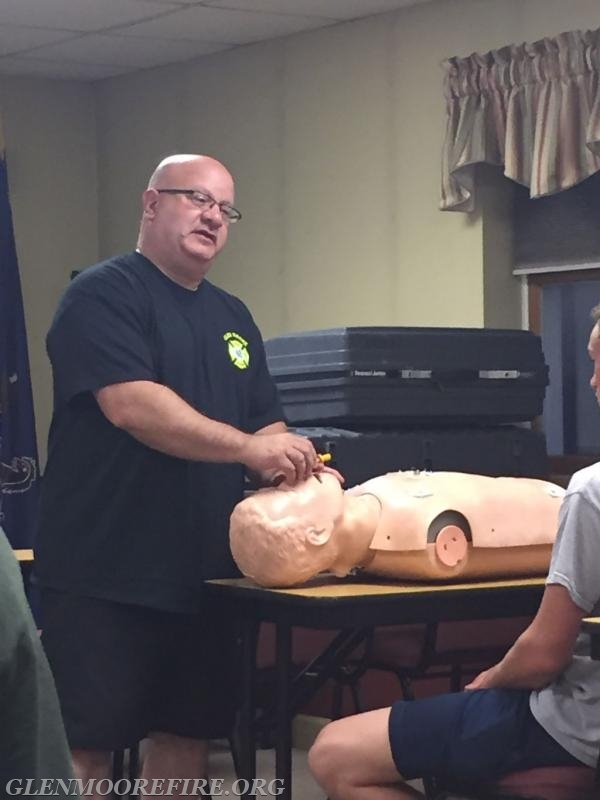 Leo Scaccia, Chief of Medic 93, provided training on the importance of airway management. He then provided instruction and demonstrated how to insert a nasal airway and an oral airway. All the members then had the opportunity to practice these techniques. 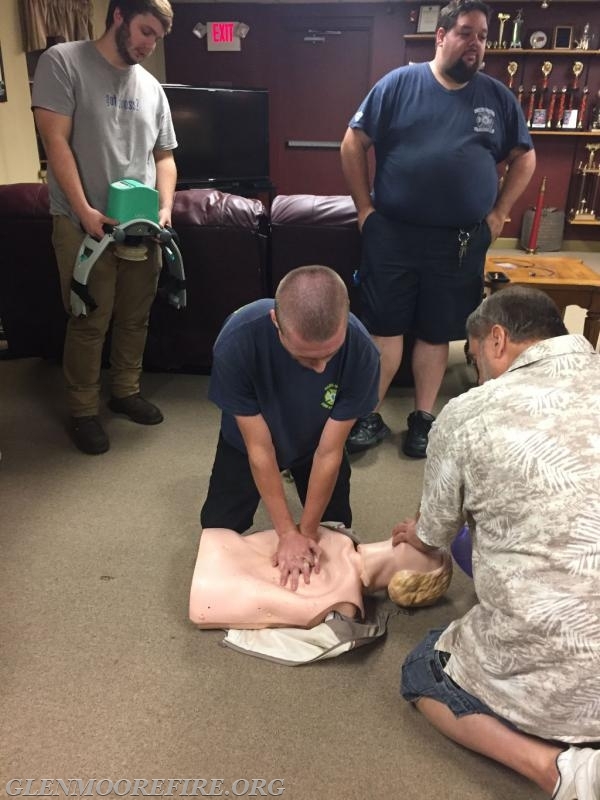 Training then moved on to CPR, specifically chest compressions and the use of the LUCAS Chest Compression System. Providing high quality chest compressions is vital when an individual goes into cardiac arrest. The LUCAS Chest Compression System is designed to deliver uninterrupted compressions at a consistent rate and depth. It can deliver automated compressions from the first response in the field to ambulance transport and throughout the hospital. Fortunately, most of the ambulances and medics in Chester County carry a LUCAS device in their vehicles for use during emergencies. 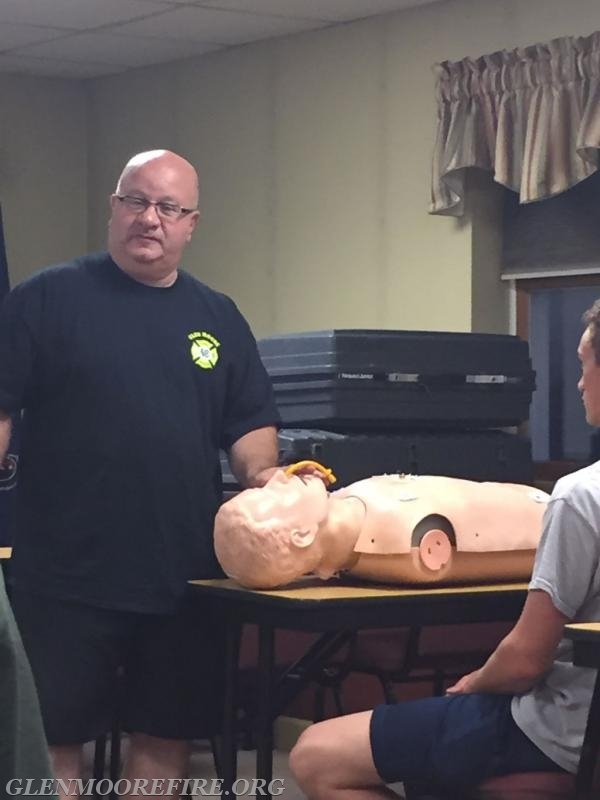 Trainings like this are so important since the Glen Moore Fire Company has several Emergency Medical Techinicians (EMT's) who respond to medical emergencies as part of the company's Quick Resonse Services (QRS). 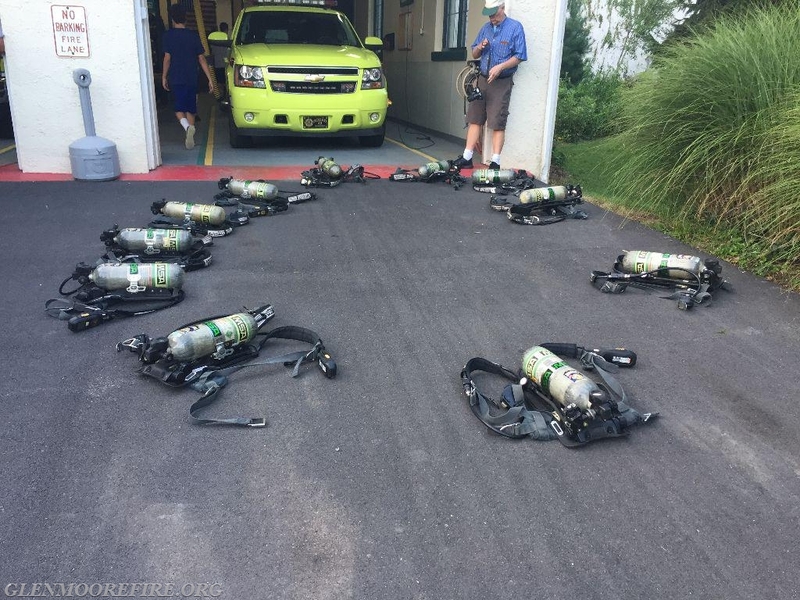 The “QRS” designation is a Pennsylvania Department of Health certified unit that while does not provide transport services, it does contains most of the live saving equipment found on an ambulance. Our QRS unit is equipped to respond to and assist in the care of patients in the prehospital setting. 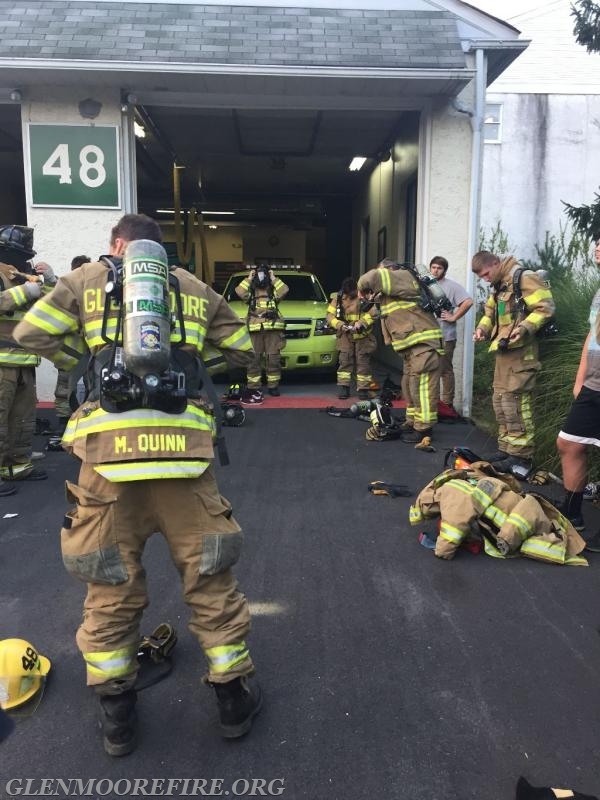 Sometimes, the quick response of the Glen Moore Fire Company prior to the ambulance arrival can mean the difference between life and death for our patients. 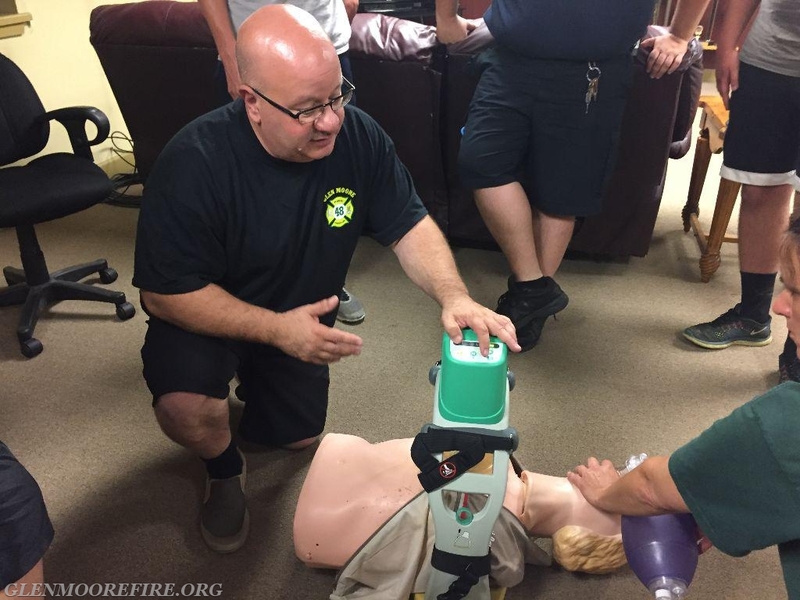 The fire company would like to thank Chief Medic Leo Scaccia for providing this training and for providing the hands-on instruction on how to use these tools and devices. 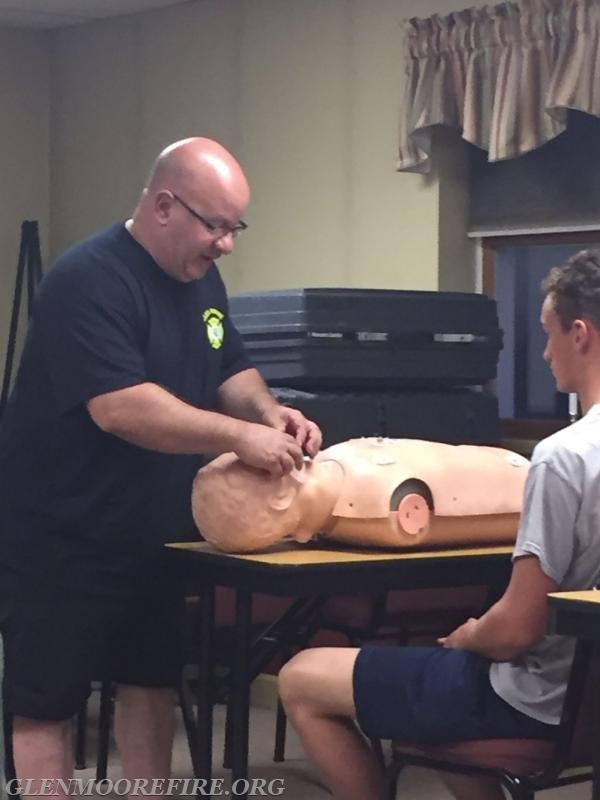 Chief Medic Leo Scaccia providing instruction. 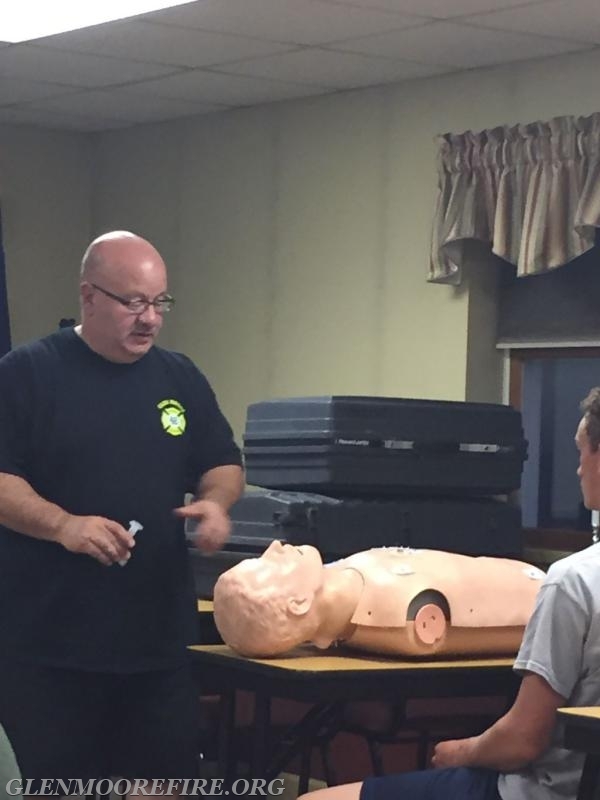 Chief Medic Leo Scaccia demonstrating airway management. 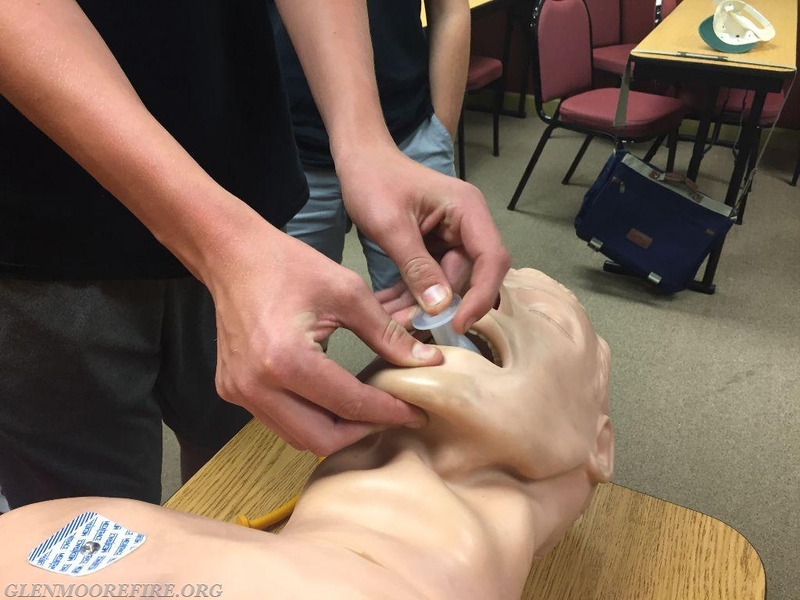 One of the members practicing inserting an oral airway. Set up for instruction on the LUCAS device. 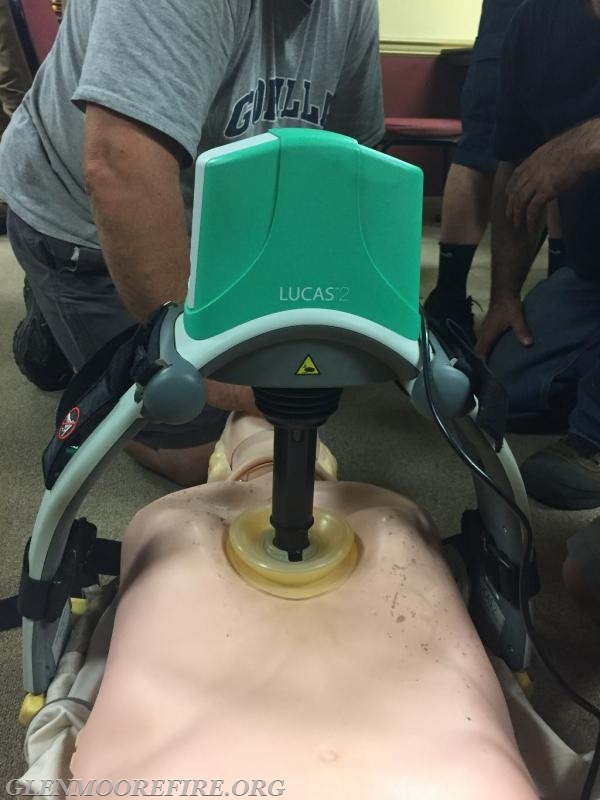 LUCAS device set up on a training mannequin. 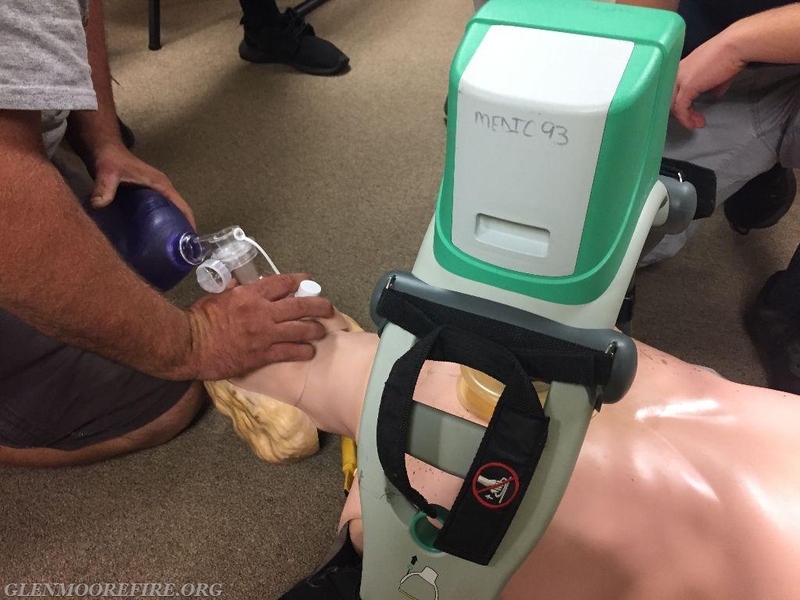 CPR compressions prior to using the LUCAS device. Providing ventilation while the LUCAS device is in operation.